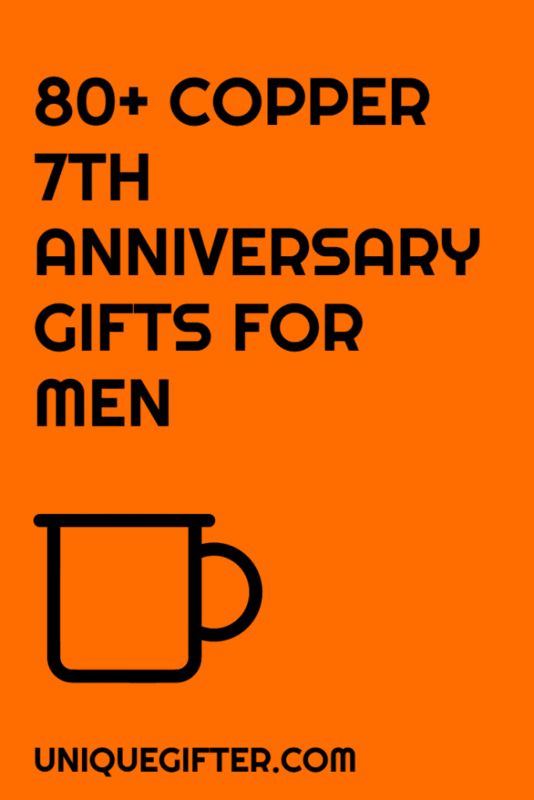 What is the traditional 7th anniversary gift? For your seventh anniversary, you have choices! For the US system, you can choose between copper and wool. The UK list of traditional anniversary gifts sticks to wool. While copper mule mugs are a pretty amazing gift, you may be on the lookout for something different. Don’t worry, we’ve got you covered! However, if you came here for your eighth anniversary, let’s get to those ideas. Don’t need them quite yet? Pin it for later! Here are over eighty copper anniversary gifts for him, giving you inspiration for your anniversary gifts this year. 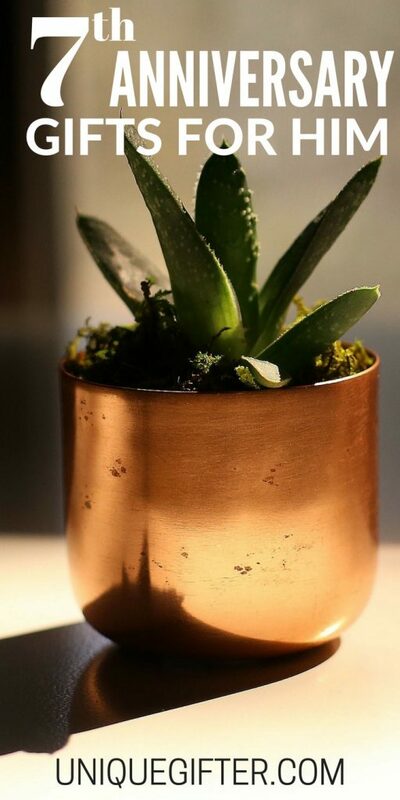 Terrariums are like mini-greenhouses that grow plants – and they come in copper! They are also an excellent addition to an office. This tie clip is a fun design and happens to also be made out of copper. You can tell your husband that it’s cupid’s arrow! Add oodles of style to your kitchen with one of these copper toasters! Yup – for those of us (like me) that burn in the sun, this makes an affordable and hilarious hat tip to the joke. This is a classic weathervane – useful and adds a nice touch of charm to a property. For the home brewer, a copper wort chiller makes an awesome gift. Yeti makes amazing mugs and they even have one in copper! Add some character to your yard with a copper yard ornament. What’s a zabaglione? An Italian dessert! At this point in time, your spouse might have a rather impressive zippo collection, as they come in so many colours!